This collection of essays by and about Wang Gungwu brings together some of Wang's most recent and representative writing about the ethnic Chinese outside China giving the reader a deeper understanding of his views on migration, identity, nationalism and culture, all key issues in modern Asia's transformation. 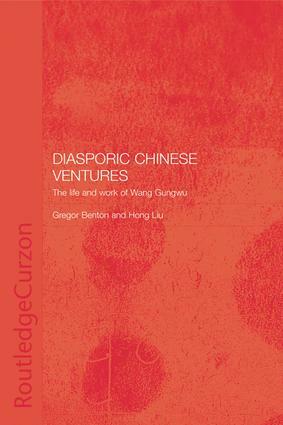 The book collects interviews, speeches and essays that illustrate the development and direction of Wang's scholarship on ethnic and diasporic Chinese. Introduction Part 1: Encounters 1. Looking Forward, Looking Back 2. The Impact of Historical Records on Wang Gungwu 3. A Momentous Duty Imposed by Heaven 4. Wang Gungwu on the Nantah Incident Appendix: The Nanyang University Curriculum Review Committee Report 5. Wang Gungwu in Australia 6. The Problems with (Chinese) Diaspora Part 2: Reflections Section 1: Cultural Concerns 7. Confucius the Sage 8. Local and National: A Dialogue between Tradition and Modernity 9. Reflections on Networks and Structures in Asia 10. Chinese Political Culture and Scholarship about the Malay World 11. State and Faith: Secular Values in Asia and the West 12. Secular China 13. Mixing Memory and Desire: Tracking the Migrant Cycles Section 2: Chinese Overseas in Historical and Comparative Perspective 14. A Single Chinese Diaspora? 15. Ethnic Chinese: The Past in their Future 16. The Chinese Revolution and the Overseas Chinese 17. Cultural Centres for the Chinese Overseas 18. New Migrants: How New? Why New? Gregor Benton is Professorial Fellow in Chinese History in the School of History and Archaeology at Cardiff University. Hong Liu is Associate Professor in the Department of Chinese Studies, National University of Singapore.